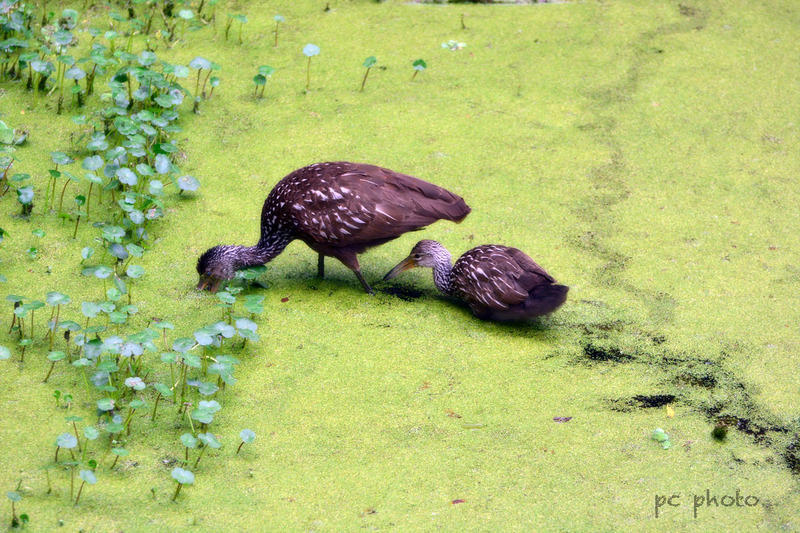 A Limpkin is BUSY looking for food beneath the algae bloom while her chick follows close behind hoping to be fed. Life takes twists and turns and one thing after another happens then you realize a month has past and it is time to get blogging again. I’m hopping back in the groove where I left off, which is in Central Florida with my nature and wildlife photographs. Hopefully it won’t be long before I get around to visiting everyone’s sites and see what you all have been up to!